Life Expectancy – Tell my story. As I write Emmett’s story, I always wonder how long he would have lived had he not drank himself to death. Several of the men in his family, particularly his twin brother Julian, were long lived. Emmett was 35 when he died of uremia on May 29, 1918. The website, Our World in Data, has an interesting interactive chart mapping life expectancy rates starting from the year 1543 to 2015. 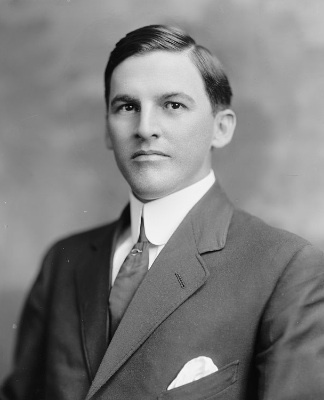 Emmett was born in 1882. According to Our World in Data, his life expectancy, had mortality rates remained the same throughout his life, would have been 39.41 years. Emmett just about made it to his projected life expectancy. Emmett’s illness as reported on his death certificate, uremia, eventually came about via cirrhosis of the liver (according to my colleague Donna the Nephrologist). Jule & Emmett’s brother, Julian A. Wilson, about 1940. Emmett’s twin brother, Julian, died in 1963, age 80. His daughter, Jule and granddaughter, Carol, have told me that Julian rarely, if ever, took a drink, and was in good health most of his life. Julian died from complications resulting from an automobile accident. Emmett’s father, Dr. Francis C. Wilson, was born in 1841. Unfortunately, the chart doesn’t have information going back that far for the United States. The first year reporting life expectancy statistics from this source is 1870; 39.4 years seems to be the average age also for 1870.